Best Android Lookout : Good News! Samsung Google Nexus S owners!! Jelly Bean 4.1 update may be just right around the corner. Good News! Samsung Google Nexus S owners!! Jelly Bean 4.1 update may be just right around the corner. For the hands on review of Jelly bean go here : Jelly Bean Review ! 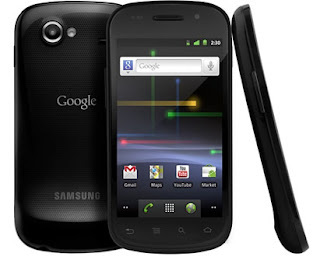 The Samsung Galaxy Nexus S released December 2010, was the first phone to have the Gingerbread 2.3 Android Operating System and now its given the royalty of having the latest OS, Android 4.1 Jelly Bean. News is that SRF in France and Vodafone in Australia have already started rolling out updates to the Nexus S phone from July 18th onwards. Vodafone Australia however temporarily delayed the update saying that the software does not meet the Australian regulatory requirements to make emergency calls. There is no special release date for India and the rest of the countries like the above two but its expected at the last few days of July 2012 or some days later. If anyone has updated their phone from any country please feel free to comment and tell us about your experience. You don't have to wait long now, because Google wants to popularize the new OS as soon as possible. The Jelly Bean 4.1 update is right around the corner ! Hold your seat and be a bit more patient.